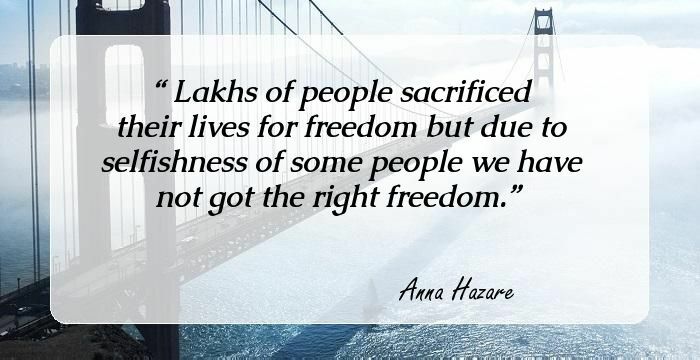 11 Inspirational Quotes By Anna Hazare, The Man Who Helped Instate The Lokpal In India That Will Instill In You A Renewed Sense Of Patriotism. A former Indian Army soldier who dodged enemy bullets during the Indo-Pak War of 1965, Anna Hazare shot to limelight when he motivated masses of the nation to protest against corruption. The 76-year old who protested against rising malpractice in Government agency demanded that an ombudsman be instated to curb the incompetency and illegal behavior. He went on fasting after the Government denied his demands. His non-violent practices inspired the citizens of the country to support his mission and finally after overwhelming support from public, the Lokpal Bill was passed and Anna ended his fast on the 13th day. Though he became a national icon during the anti-corruption movement, Anna's achievements are not only the Lokpal Bill. The social reformer took the initiative of transforming his native village of Ralegan Siddhi as one of India's model village. He took one problem at a time and came up with unique solutions to make the lives of people better in the village. Beginning from better irrigation facilities to food stock development, from opening schools to helping social evils such as untouchability to end the use of alcohol and tobacco, the village set an example in all aspects. And the hunger strike during the 2011 anti-corruption movement was not the first time he fasted unto death. During the anti-corruption protests in the state of Maharashtra too Anna Hazare fasted for 9 days. 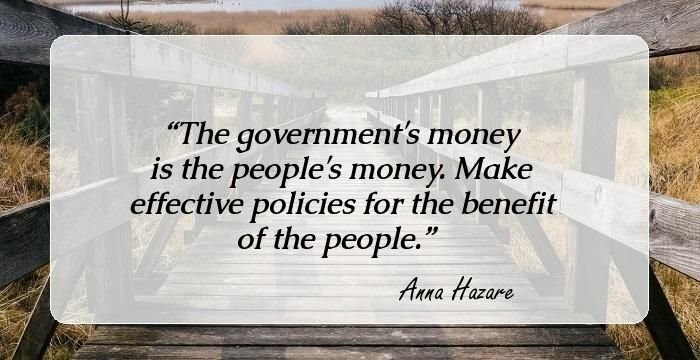 The government's money is the people's money. Make effective policies for the benefit of the people. Lakhs of people sacrificed their lives for freedom but due to selfishness of some people we have not got the right freedom. 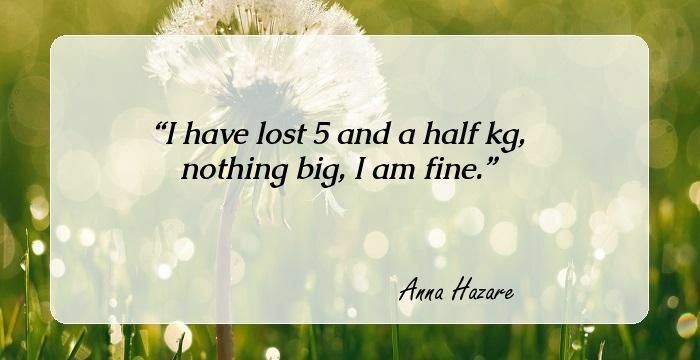 I have lost 5 and a half kg, nothing big, I am fine. Yesterday my Blood Pressure was down, but today it is back in control because the strength of the nation is behind me. This government doesn't have the will to setup an effective Lokpal. My demands will not change. You can cut off my head but not force me to bow down. Those who live for themselves die, those who die for the society live. The countrymen should not lose this spirit, this is our fight against corruption. Is this democracy? All have come together to make money. Request the people of my country to continue this kranti. People should continue to fight even if I am not there. The same loot, same corruption, same rowdyism still exists. 10 Inspirational Quotes By Sri Ramakrishna Paramhansa That Will Make You Look At Things In A New Light. 14 Inspirational Quotes By Dayanand Saraswati Who Revived Hinduism, That Will Fill You With Nationalism. 17 Intriguing Quotes By Vinoba Bhave The Man Who Pioneered The Bhoodan Movement.